We have compiled a list of the most frequently asked questions when it comes to wallpapering. The great news is that you don't have to choose - paint and wallpaper work well together. Painting a room and adding a statement wall is a great way to add personality and interest to your home. What are the advantages of wallpaper? 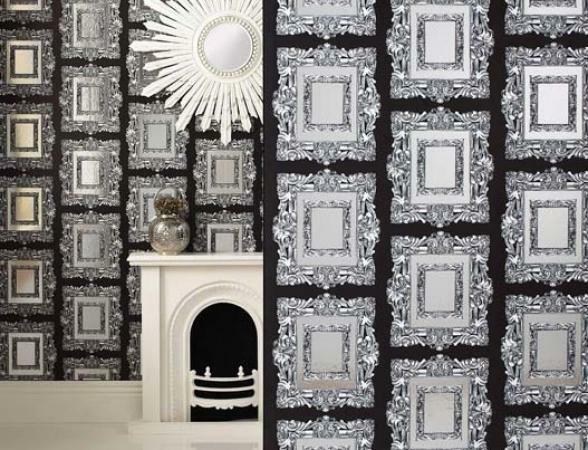 Wallpaper offers some great advantages - it can add texture and colour to a room. It can cover minor wall imperfections. Modern wallpaper is easy to care for. Is it true that if I wallpaper it will be hard to remove? Paste the wall wallpapers are easy to remove, so updating your style is easier than ever. Provided the wall was prepared correctly, they can be simply peeled off, cleaned, and re-wallpapered. Can I wallpaper a room myself? Yes! It is much easier than it used to be. Your local Colourplus specialist can advise you on the best process, and sort all the tools you will need for the job. And if you decide you would call in the professionals, they can give you the details of a recommended paper hanger in your area. 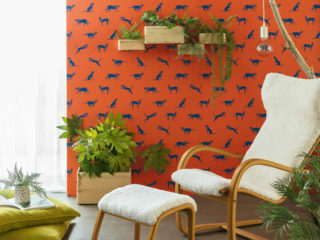 Where can I see and buy wallpaper? Colourplus has everything you need for your next wallpaper job. Take a look at our online image gallery, or visit your nearest Colourplus store. We have thousands of styles to choose from. Are there "test pots" for wallpaper? Sort of. 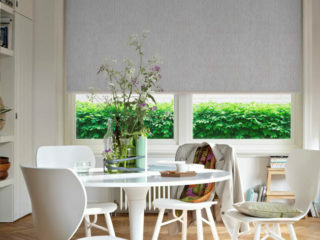 Your local Colourplus store can provide you with sample pieces of wallpaper so you can try it at home. How do I know how much wallpaper I will need? Most wallpaper rolls are about half a metre wide and 10 metres long - about 5 square metres per roll. That is about 3 drops of wallpaper on a standard sized wall. As a guide, a standard living room would require approximately 7 rolls of wallpaper. However, there are a few things like matching and pattern repeats to be considered. We recommend that you purchase an additional roll of wallpaper. This will allow for any mistakes, and also give you some left over in case you need it in the future. Yes! Well, sort of. There are hundreds of new designs on the market now, but there are classics that are still going strong! Wallpaper has had a bad rep in recent years - for a lot of people, it was something that you saw at your grandparents house. Wallcoverings have come a long way. Homeowners shown contemporary wallpaper collections are often pleasantly surprised and impressed. Click here to browse out library to get an idea of how wallpaper has changed (and remained the same!). 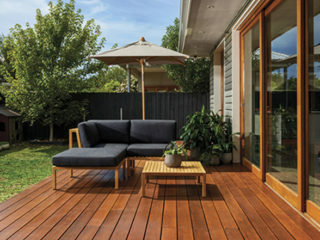 Each year there are new colours and designs in every product area, responding to global and local influences, and cultural and lifestyle trends and changes. Wallcovering manufacturers regularly bring out new colours and designs too; sometimes subtle variations in colour and texture, or more dramatic patterns. 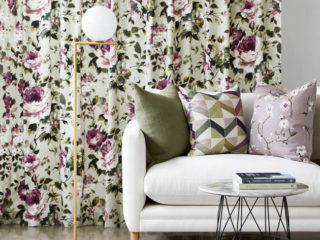 The trend to patterned, printed and embroidered fabrics has seen an equal shift to dramatic, look at me wallpapers. Rich and rococo-inspired patterns that are slightly over-scale, often with a metallic shimmer against a matt background; updated retro geometric designs of the 60s and 70s; and reworked floral and botanical prints are key trends featuring in design magazines. It's all part of the international swing away from minimalism into glamour, luxury and pattern. What about feature walls - are they still on trend? Yes, feature walls are still a great way to create a focal point in a room. Using an interesting wallcovering can highlight an important area of a room such as a fireplace, or create a positive first impression in an entrance hall. You could wallpaper the wall behind the bed rather than having a traditional headboard. It can be a cost-effective and easy way to update a room. However, having a feature wall in every room may be a bit much!